Since this year's E3, there's been a lot of buzz around the upcoming PlayStation 4 and Xbox One game consoles. Until then, you'll have to settle for the updates coming to the existing consoles. The latest news comes from Time Warner Cable. Microsoft has gotten together with Time Warner to work on some additions for Xbox 360 users. Time Warner Cable plans on launching its TV application on Xbox Live later this summer, which will release around 300 live TV channels to the console. Of course, like everything else that's proprietary, so is this. The service will be available only to users who are BOTH Time Warner Cable customers AND subscribers to Xbox Live Gold. The channels that Time Warner will be making available include AMC, BBC, Comedy Central, Cartoon Network, Food Network, and CNN. More details will come once the Time Warner Cable TV application becomes available in the upcoming months. A note for Kinect users - the app will also work with voice controls through the Kinect sensor. If you're looking to improve your gaming experience over mobile broadband, be sure to contact the experts at 3Gstore! BELLEVUE, Wash.--(BUSINESS WIRE)--Jun. 28, 2013-- T-Mobile US, Inc. (NYSE: TMUS) today announced that its wholly owned subsidiary has signed an agreement to purchase 10 MHz of Advanced Wireless Services (AWS) spectrum from U.S. Cellular (NYSE: USM) for $308 million in cash. The spectrum covers a total of 32M people in 29 markets in the Mississippi Valley region - notably in St. Louis; Nashville; Kansas City; Memphis; Lexington; Little Rock-North Little Rock; Birmingham; New Orleans; and Louisville. This additional spectrum will allow for an incremental roll-out of T-Mobile's 4G LTE network coverage to new markets and expands the existing 4G LTE bandwidth in the important Mississippi Valley region. "In today's marketplace, spectrum is gold," said John Legere, President and CEO of T-Mobile. "This is a rare opportunity to secure precious AWS spectrum in key markets that will immediately be put to use by both T-Mobile and MetroPCS customers. This deal expands our network and capacity, allowing for a broader roll-out of 4G LTE and an even faster and more reliable 4G experience for our customers – in addition to spurring competition in the wireless marketplace." The agreement is subject to approval by the Federal Communications Commission (FCC) and Department of Justice, and other customary closing conditions. Following regulatory approval, the transaction is expected to close in the fourth quarter of 2013. Verizon has seen the future. Interestingly, their future a lot of people as Verizon customers. But after the promises their CTO(Chief Technology Officer) has made, that future may actually become a reality. They promise more places with 4G or better services, upgraded smartphones, and voice over LTE that will be so fast it will blow people’s mind. They are promising what AT&T has never quite delivered, the idea of 4G or better while driving around places that have yet to enough of a population to have a traffic light. Verizon currently says that 99% of the population has LTE ability on their phones. Washington, D.C. Today the Commission adopted a Report and Order that will increase the Nation's supply of spectrum for flexible use services, including mobile broadband, by opening 10 megahertz of spectrum in the bands 1915-1920 MHz and 1995-2000 MHz (H Block) for commercial licensing. By enabling 10 megahertz of spectrum to be used for mobile broadband, the Report and Order furthers the Commission's efforts to ensure that the Nation's wireless networks have the capacity, speed and ubiquity to keep pace with consumers' expectations and ever rising demand for mobile services. It is also a step towards meeting its obligation under the Middle Class Tax Relief and Job Creation Act of 2012 (Spectrum Act) to license 65 megahertz, including the 10 megahertz in the H Block, by February 2015. The Report and Order pairs the two bands that comprise the H Block, and establishes that the paired bands will be licensed on an Economic Area basis and auctioned through a system of competitive bidding. In addition, the Report and Order sets technical rules to help ensure that operations in the H Block do not cause harmful interference to PCS downlink operations, consistent with a requirement in the Spectrum Act. Finally, the Report and Order adopts flexible use regulatory, licensing, and operating rules for H Block licensees. Verizon Wireless is nearing closer to complete coverage and now officially offers 4G LTE coverage in 500 markets across the country. They now cover 298 million POPs with LTE service and cover 99% of their existing 3G network with 4G LTE coverage. 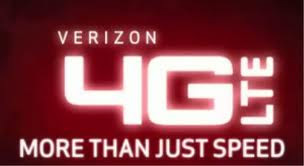 In addition to this milestone Verizon is also planning to bring 4G LTE to Alaska within the next month, which has never had native Verizon coverage before. When this happens Verizon will be available in all 50 states with international support for several countries across the globe. After Verizon completes their LTE rollout by the end of 2013 they’ll then bring VoLTE (Voice over LTE) so customers can use data and voice service over LTE, right now only data is done over the LTE network. Customers in a Verizon 4G LTE market can expect to see data speeds of 5-12Mbps down and 2-5Mbps up with many users reporting much faster speeds! Poor LTE reception on Verizon? 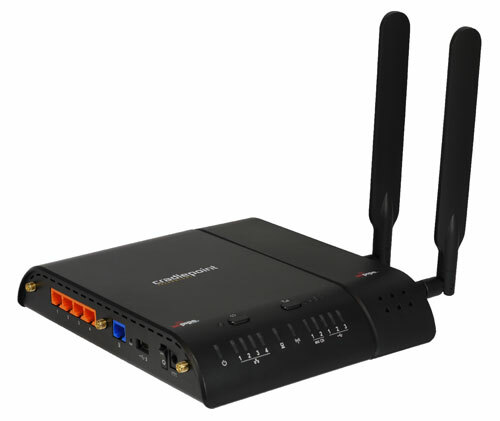 Get a 4G LTE Repeater to boost service! Verizon will likely need permission from both the Canadian government and Vodafone to make any takeover attempt official.